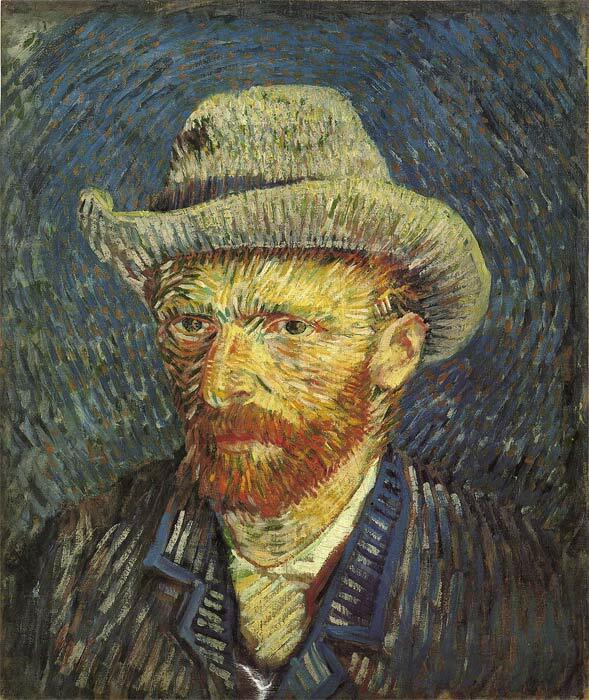 Self-Portrait (1887), a van Gogh self-portrait done in Paris, is one of his most intriguing yet most neglected oil paintings. van Gogh 's morose eyes stare out from his face in half-profile, facing to the left, and the world-weary expression initially appears to support the view of critics such as James Risser, who explains van Gogh’s self-portrait paintings as a sustained search for identity. SPECIAL NOTE : The painter will make the reproduction as close to the original oil painting as possible. If you want your painting to alter from this likeness, please email us and " Self Portrait, 1887 " will be reproduced according to your special requirements.